By offering scope to people for making easy shopping of cell phones and its accessories, one can surely create a sound business in popular malls. Because of rapid advancement and upgrade in the technological field we all remain keen to upgrade our current mobile phones or make a purchase of the latest models of cell phone accessories. By starting a mall kiosk in any of the local yet popular malls, one can make easy selling of merchandise to such customers. You can make your business popular by providing excellent customer service and by sharing the knowledge you had about the cell phone industry. 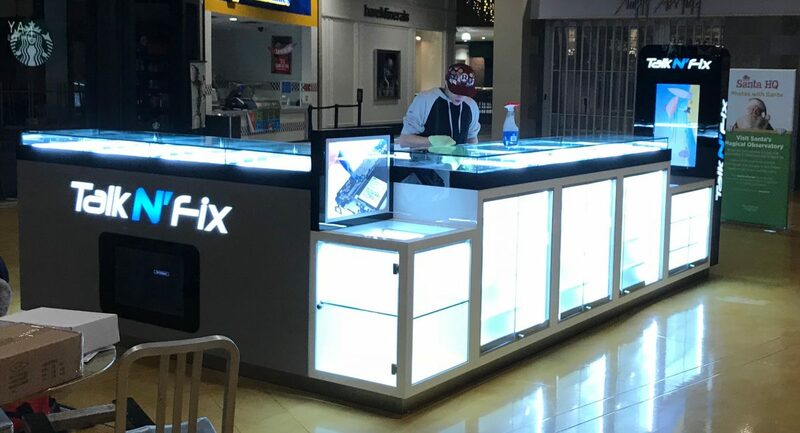 Now the question that will be coming to your mind is as to how you can launch your cell phone repair kiosk in the mall. Check out the below steps to kick start your cell phone repair kiosk. • Take the call for lease or purchase of kiosk: Based on your budget investing in buying the kiosk or renting of space will cost you low than leasing of the empty kiosk of any mall. Jot down your needs on paper in case you want to purchase a kiosk. Include storage space, required number of register terminals, space, and equipment for display. If you want to lease a kiosk, go for a thorough inspection before signing the papers of the lease. • Decorate your kiosk: Make the necessary arrangements for display hooks and shelves to set the cell phones as well as accessories which you want to sell. Arrange cash registers besides credit card payment machine and business phone. You need to make the installation of computer retail software for sales tracking, inventory maintenance and staff working hours. Invest in comfortable working chairs for staffs to sit while attending the customers during duty hours. • Business tie-ups: You are dealing in cell phones and its accessories so for product supply you need to establish business tie-ups either with wholesale cell-phone retailers, or cell phone manufacturers, to place orders. Make in-depth research on the cell-phone industry for the latest trends and to offer customers the latest merchandise. In Cell phone accessories section you need to have in stock USB cables, protective phone, headphones, or screen covers as well and batteries. • Recruitment of employees: Running the kiosk all on your own is difficult and you will need trained staffs for that. Plan for the salary structure based on industry standards and then advertise for the vacancy. Make a combination of hourly paid staffs and commission based staffs to fit into your operating cost budget. Take interviews and recruit those having previous sales experience with good knowledge about the cell phone industry and models.